Relax by the pool or hang out in the pavilion or on the deck and take in the lake with the mountains behind. 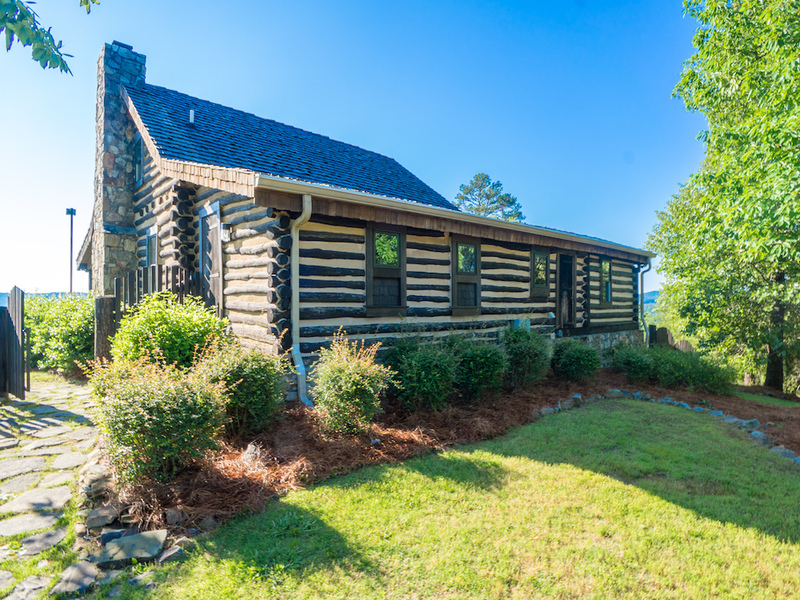 Feel the mountains around you as you relax in one of four authentic log cabins. Enjoy the Sport Court for basketball, tennis, volleyball, shuffleboard, hopscotch, four square, or badminton. 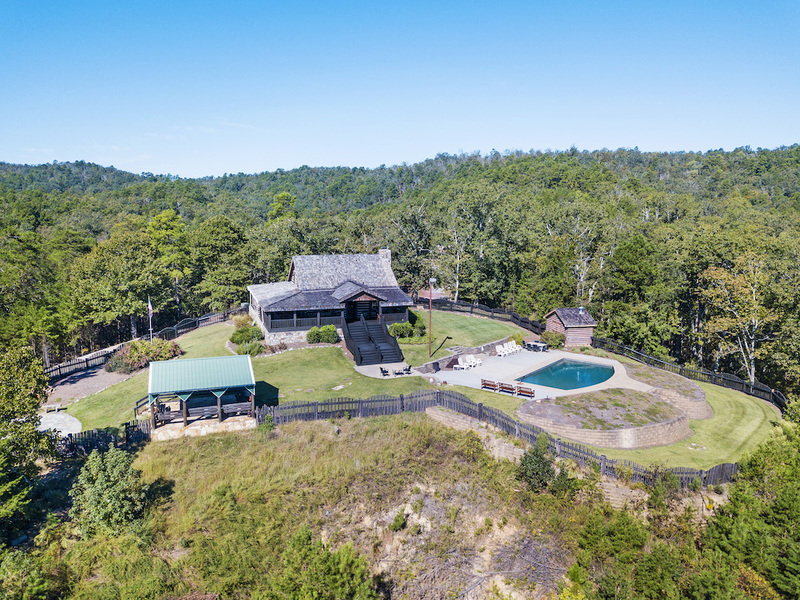 Beautiful mountain views of the sunset and sunrise, ideal retreat center or for family compound located on 420± acres in the Chattahoochee National Forest. Don’t miss your chance to own this mountain oasis. An Albert Burney representative will be available daily from February 9th from 11:00 AM to 2:00 PM and February 13th thru auction Day between 10:00 AM to 3:00 PM. Shown by Appointment ONLY. For more information call (800) 434-1654. To schedule a private tour before the scheduled tour dates, please call our office. The auction will be held at 3761 Big Texas Valley Rd NW, Rome, GA 30165. Ten percent (10%) down Auction Day with closing on for before March 18th, 2019 Certified funds in the amount of $20,000.00 for parcel #1, $25,000.00 for parcel #2, $35,000.00 for parcel #3, or $100,000.00 for the entirety will be required to bid. The certified funds may be in the form of a Cashier’s Check made payable to the bidder, or a personal or company check with a Bank Letter. Parcel #1 includes 109± acres, the Deer cabins, and a pond. From a private or corporate retreat to a family compound to the ideal gentleman’s hunting camp. This parcels has endless potential! With approval, this parcel can also accommodate up to a 5,000± sq. 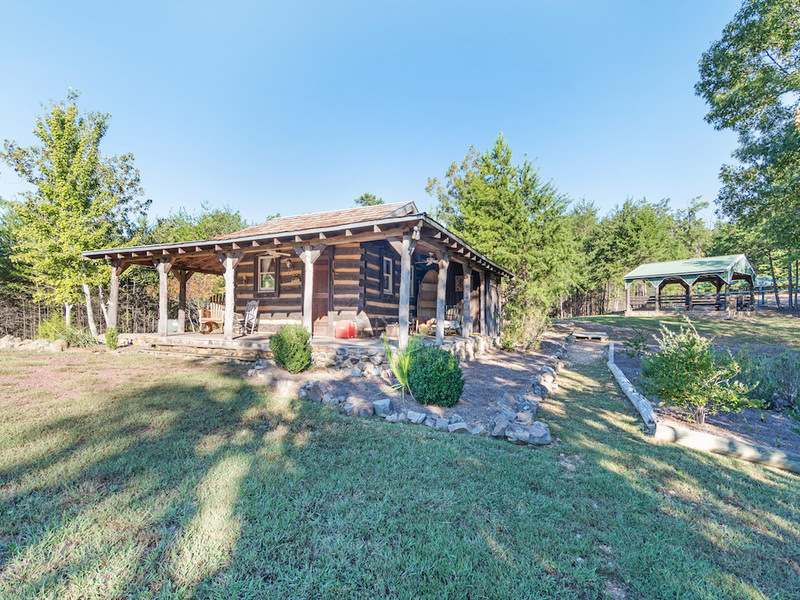 ft. barn and enlarging the pond up to a total of 10 acres. Parcel #2 has 28± acres, Bear & Moose cabins, sport court, and pool. This parcels boasts the ideal homestead location, all it is missing is your personal touch. The existing cabins would be perfect for weekend get-aways, or build your dream home on this site and you already have plenty of room for out of town family and friends to visit. The kids can play at the sports court while the adults relax by the pool enjoying the beautiful mountain and lake views. Parcel #3 has a whopping 284± acres, an orchard, two 3-acre building envelopes, and accommodations in place for up to a 5,000± sq. ft. barn with approval. This parcel is a blank canvas to create your own mountain hideaway. Envious views overlooking the lake and mountains in the distance help make this parcel so serene. Potential use could include a family homestead, mountain get-away, hunting camp, or a nature lovers paradise. First time on the Open Market! Don’t miss this opportunity! 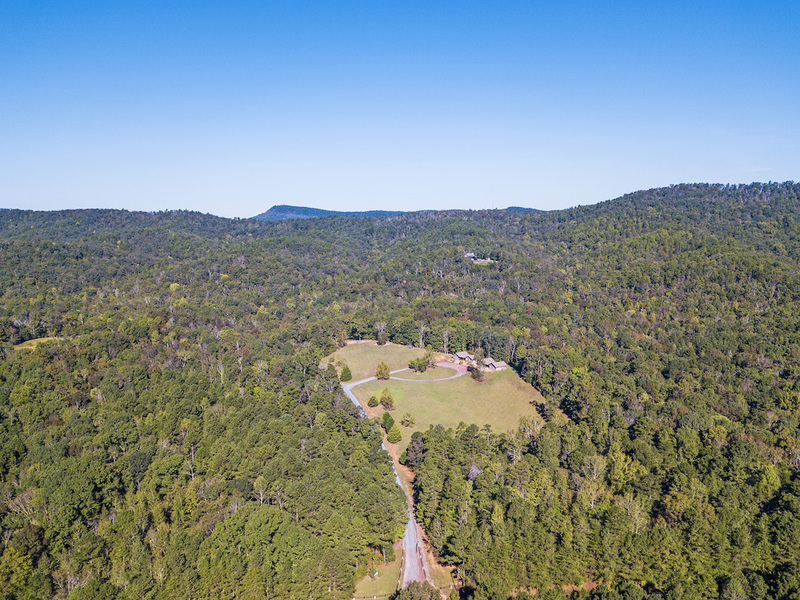 Beautiful mountain views of the sunset and sunrise, ideal retreat center or for family compound located on 420± acres in the Chattahoochee National Forest. 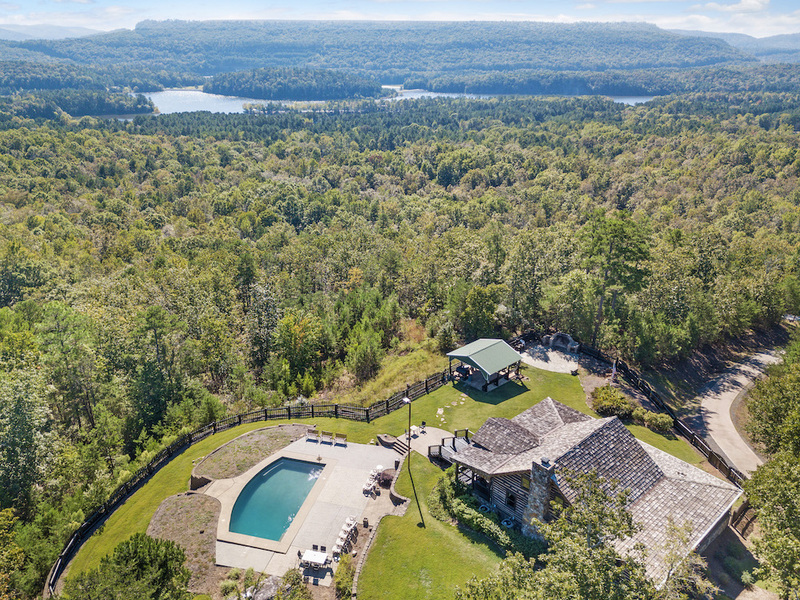 Don’t miss your chance bid for ownership of this breathtaking mountain oasis. Relax by the pool or hang out in the pavilion or on the deck and take in the lake with the mountains behind. 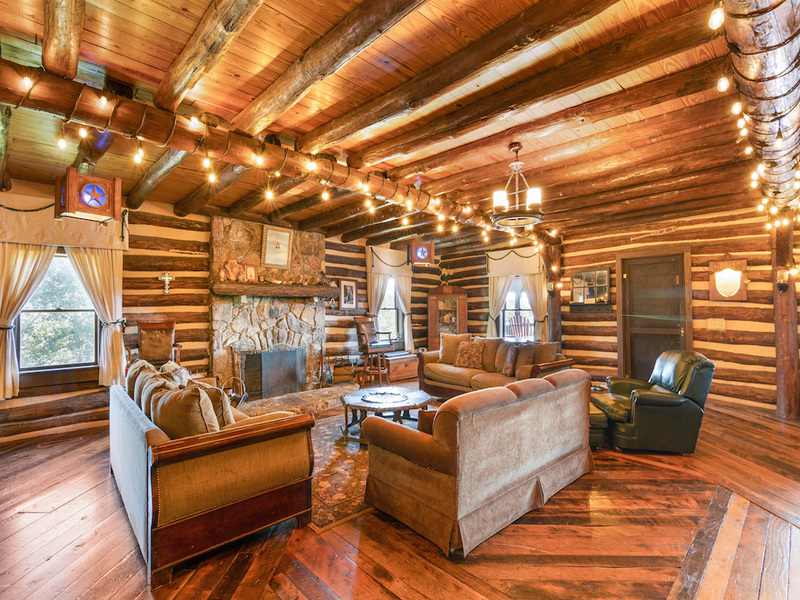 Feel the mountains around you as you relax in one of four authentic log cabins. Enjoy the Sport Court for basketball, tennis, volleyball, shuffleboard, hopscotch, four square, or badminton. 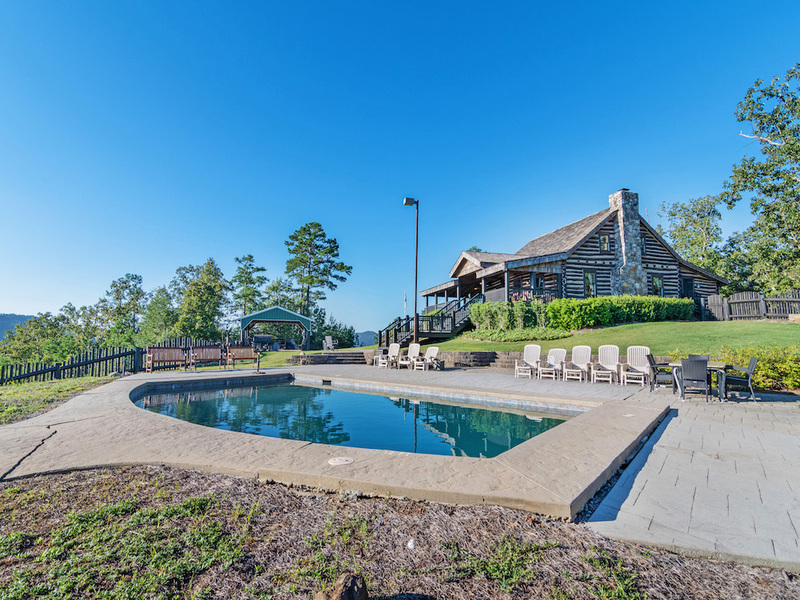 Other amenities on sight include a labyrinth, a pool, hiking trails, pond, fire pit, a custom made propane grill, pavilions, seasonal fruit trees, and fishing across the street on the wake speed only lakes. With 3 full kitchens, one with double appliances and a large dining room, it is perfect for family get togethers. The Deer bedroom cabin has a yoga room for relaxing retreats. 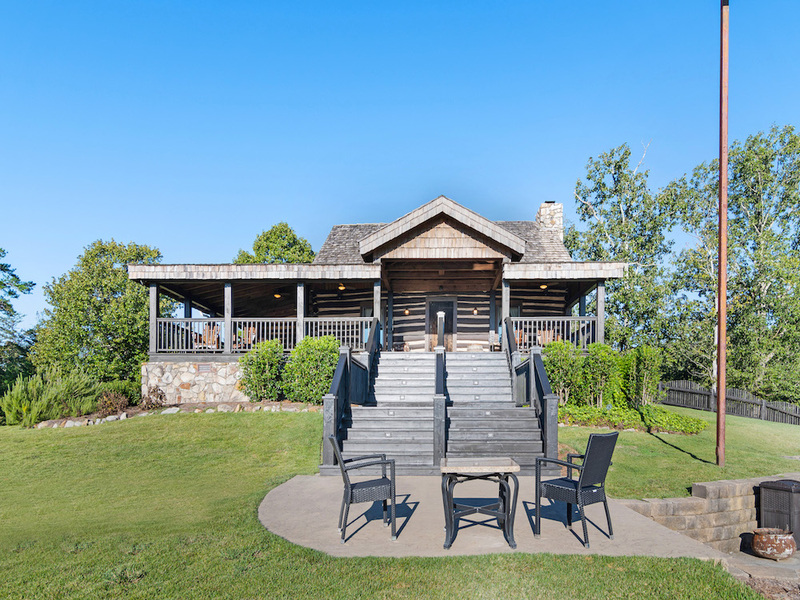 Bear Cabin–1 Master Bedroom with King and Twin Bed and 1 Master Bath attached to the bedroom, Full Kitchen and full bath downstairs, stone fireplace, 2 sleeper sofas, upstairs loft with 3 Queen Beds, 2 Double Beds, 2 Twin Beds, 1 Futon with full bath. 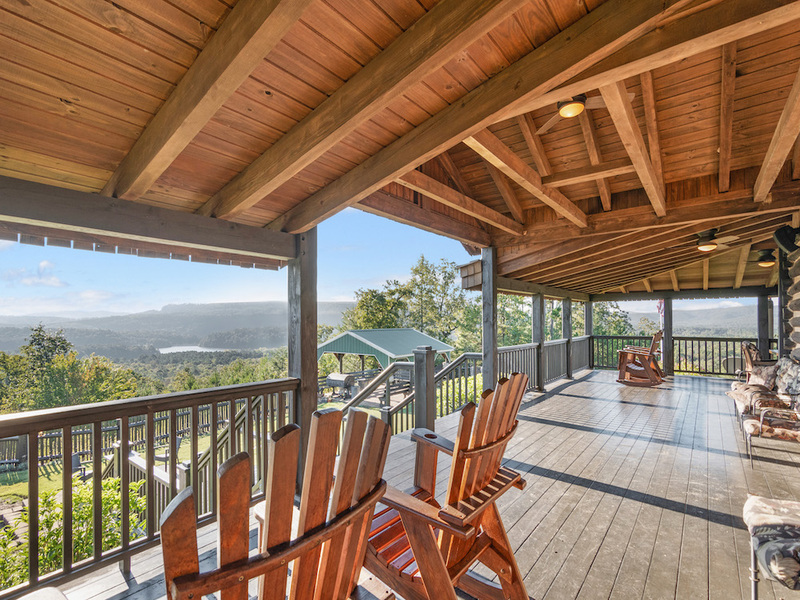 Various seating around the lit and covered deck with fans has a view of the amazing lake and mountain views. The steps lead to the pool, the covered pavilion, and the stone fire pit. The custom made grill on the deck uses a propane tank to cook. The Bear Cabin has WiFi. The Bear Cabin has the only television hooked up to DirecTV. There are extra tables and chairs to eat inside and accommodate large groups. The pebbleteck saline system pool is 15 X 30 feet with ledges to sit on in the shallow end and a ledge to climb out of in the deep end. Moose Cabin–1 Bedroom with King and Twin Bed, 1 Futon, Full Kitchen with chest freezer, full bath, and a porch swing. It is next to the Sport Court and Pavilion. 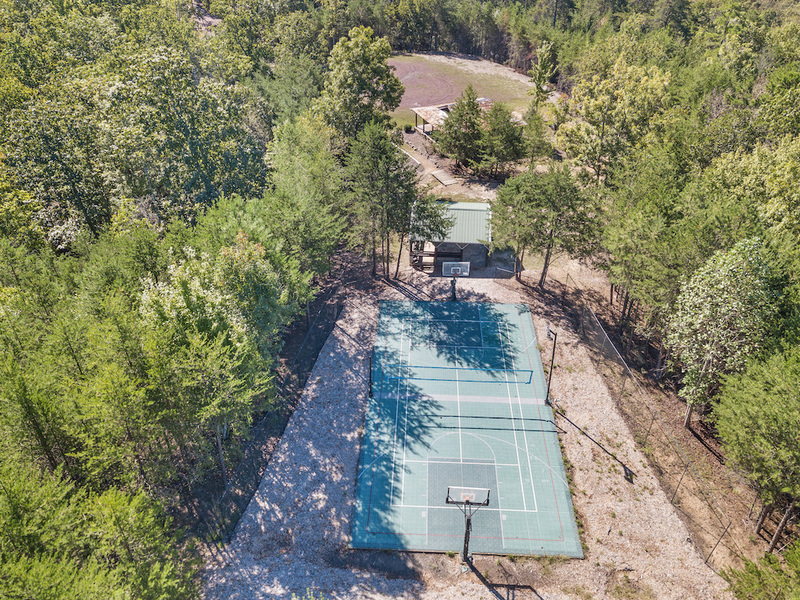 Sport Court–A lit court located behind the Moose Cabin with basketball, tennis, volleyball, badminton, hopscotch, four square, and shuffle board. Guests must supply their own balls for the Sport Court. An all-weather pavilion is located nearby to watch the athletes. It is a two minute drive by car, a 5 minute walk down a concrete paved hill, or a 10 minute walk up the same hill that separates the Bear and Moose Cabins from the Deer Cabins. Deer Kitchen Cabins–Kitchen has double appliances and is meant for serving large groups in the dining room. 2.5 baths, one with a handicapped wheelchair accessible shower, and 2 bedrooms with a King Bed in each bedroom. There is an RV power hook up located outside this cabin. Deer Bedroom Cabin–2 full baths with 6 Bedrooms. 4 Queen Beds, 2 Double Beds, and a Day Bed with a trundle bed that can become a king bed and a queen size sofa sleeper in the main room. The main room is a perfect yoga room. 30 minutes from Rome, Shorter University, Berry College and Georgia Highlands Floyd Campus. Easy 90 minute drive from Atlanta, 70 minutes from Chattanooga, TN, and a 2 hour drive from Birmingham, AL. Rome is a great small city with an amazing, vibrant downtown area for shopping and eating at unique restaurants. Rome has 3 universities/colleges and a huge medical community that is a hub for the surrounding counties in Georgia and Alabama for shopping, dining, education, and medicine. We also have more detailed local attraction information in each of the cabins for all the guests staying at the ranch. The nearest grocery store is Walmart/Sam’s 20 minutes from the ranch. Check back daily for more information.